RivaViva is also partnered with Claudia Zanfi’s Green Island 2018, the first project to take design out onto the streets of the Isola district. Since its inception, Green Island has worked to spread and promote culture having to do with environmental protection, environmentally-friendly design and creative education about green spaces and sustainability. 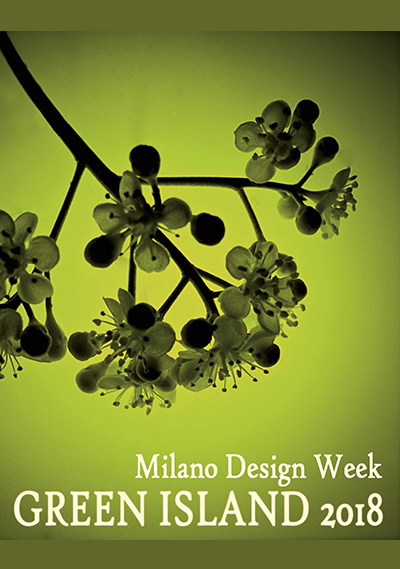 This year, the eighteenth edition of Green Island, taking place during Milan Design Week (17-22 April 2018), is offering an eco-design journey. It is a project that promises to fill the area of the city between Garibaldi Station and the Isola district with colours and scents. Different places to stop along the way are scattered throughout the streets of the district, which have been transformed into a journey through “flower-studded windows” marked by “signs in flora” drawn on the pavement. The main stop, and the heart of the event, is RIVA VIVA’s Showroom for eco-friendly furniture on Via Porro Lambertenghi. Here, a never-before-seen installation will be created, a true natural landscape divided into three areas: the flower room (botanical journey), the wood room (sensory journey) and the nature room (visual journey). On display in the first room, which is devoted to FLORA, the undisputed star of this latest edition is Cinzia Castagna‘s beautiful photography. This artist from Piacenza, a lover of gardens and of the landscape, creates what we can truly call “portraits of flowers”. Thanks to a skilful play of light and shadow, she is able to capture the magical moment when a flower blooms, in images with a tactile density that feels three-dimensional and alive. Flowers are nature’s most beautiful gift, the culmination of the productive life of a plant that, sometimes, as is the case with cacti, dies once it has produced its first buds. They are natural sculptures with their own internal and external architecture (simply think of their pistils and petals), so surprising as to not seem real. They are abstract “figures and silhouettes”, removed from their own dimension of space and time, revealing themselves to us in all of their geometric forms, where we can explore the warp and weft of their botanical weave. These works are indisputably objective, but simultaneously poetic. Every plant (from the stalks growing in the fields, to the flora that springs up wild on stream banks, to the most complicated of flowers) all are born as objects of design. The next area, the room devoted to wood, is a space to be explored, because the types of wood are myriad, as are their colours and scents. Running our fingers over their surfaces and their rings, we can understand much of a tree’s history. We can examine pieces of shrubs from faraway lands, rough or sanded, smooth or covered in knots. An expert artist/woodworker will tell us the story of this “living material” and introduce us to every piece, pointing out each one’s individual traits. Lastly, we come to the room devoted to nature, built to draw us in visually and emotionally as we enter, transporting us to a different dimension, one made up of leaves that whisper, trees that breathe, and waterfalls that roar thunderously down. The images and sounds here will convey visitors to forests and plains, dripping caverns and meadows in flower. It will only take a moment for us to leave behind the noise and the monochrome grey of the city and find ourselves immersed in a riotous carnival of colour.